And here we are at Jejudo, the Hawaii of Korea. 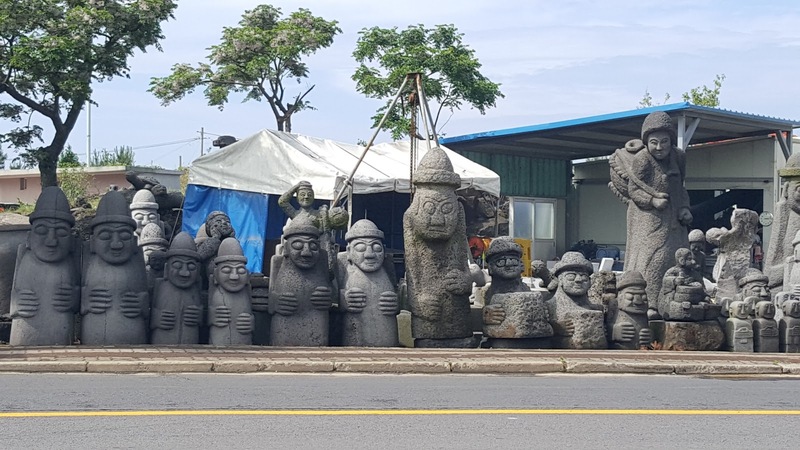 Located nearly 100 kilometres off the south-western tip of Korea, Jeju island is a unique place. Jeju is a volcanic island formed by the eruption of an under-sea volcano 1.2 million years ago. 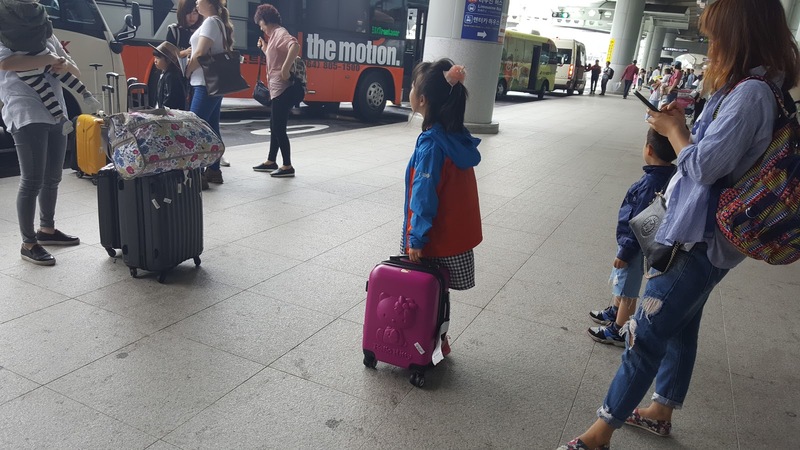 The island has a humid subtropical climate, warmer than that of the rest of Korea. The good thing - winters aren't that harsh here. That's why most Koreans call Jeju their Hawaii! Given its relative isolation from mainland Korea, the islanders evolved a different culture over the centuries. 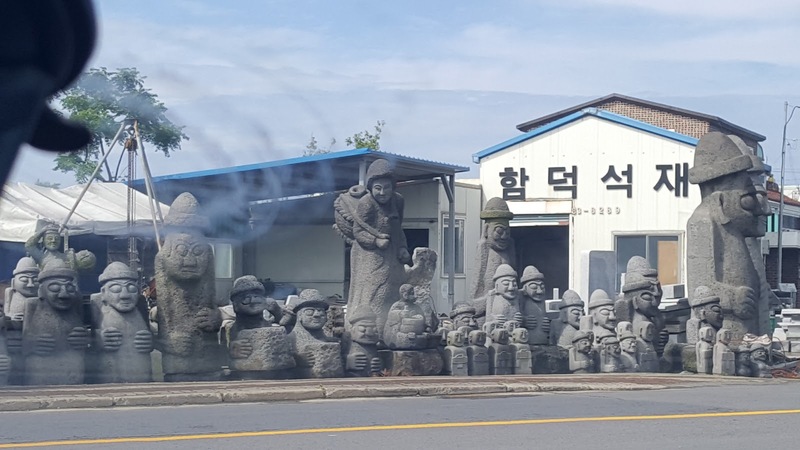 The society in Jeju is matriarchal and speaks a different dialect of Korean. 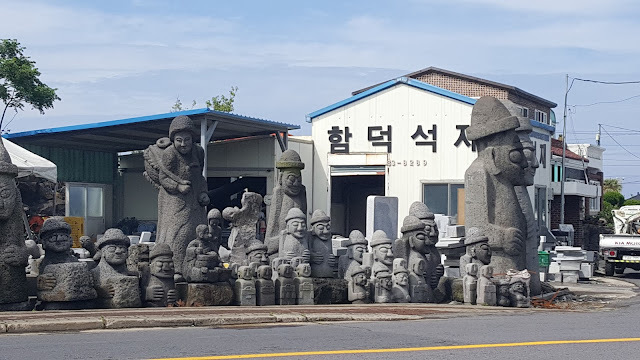 And I suspect Giorgio Tsoukalos of Ancient Aliens hasn't yet visited Jeju else he would have claimed that these are representations of aliens wearing a spacesuit who visited Jeju some eons back! Politically Jeju is a self-governing province unlike other provinces and has a higher degree of autonomy. And the good thing for tourists is that Jeju is visa-free for most nationals except for those from a handful of countries - the usual suspects are on that list. 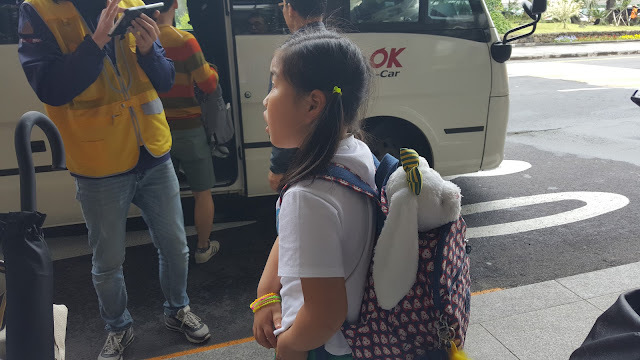 So, I am told, when a foreigner (or an alien, as Korea officially terms us) travels from Jeju to the mainland, she has to show her Korean visa! We'll see that when we fly to Gimpo on Monday! Till then, we are here to enjoy Jeju!